I love diversity of the arts. It makes the world a beautiful place. It brings us Beethoven and Yiruma, Carravagio and Banksy. But remember there was a time when each of these fellows was unknown and unheard of, until someone discovered, consumed, and shared their work. The lesson here for businesses is that, whatever content you create, people should know it exists. Even the most epic content is worthless unless someone finds it, enjoys it, and passes it along to his friends and peers. That’s what great content is all about. Google’s Keyword Tool helps your content get found. It allows you to identify good opportunity keywords (or phrases) that are popular and easy to leverage. When these words are added to your content (in the headline, copy, or both) people can easily find your work online. So before you write your next article, find out exactly what keywords customers are searching for online and incorporate them in your content. Create a Google+ community that educates people about pain management. In no time at all, you’ll be ranking even higher than your competition simply because Google rewards you for having a community. Create a page on your website titled “Pain management” and show it in the main navigation bar of your home page. This is a great place to start telling people what you do (as opposed to “Services” or “What we do”) because it communicates clearly and instantly to both visitors and search engines. There is a third, and more obvious option for content marketing: Write a blog article about pain management. But if you’re worried that competition for that term might be too high for you, here’s how you can use the Keyword Tool to generate similar blog title ideas that are less competitive. First select “exact” match type (see far left arrow in Fig. 2, below) to see a more accurate monthly volume for suggested keywords. Exact matches are more useful here, as they reflect actual words that customers use when they’re searching. Phrases such as “Denver pain management” or “advanced pain management” have very little competition and could be ideal (if your business is actually located in Denver, or if you specialize in advanced treatment methods for pain). But notice that few customers use these terms in search compared to “pain management,” which pulls 18,100 local monthly searches. This shouldn’t surprise or hinder you. Here’s the clincher: If the goal of your content is to attract a very specific (small) target audience (e.g., people in Denver who suffer from pain, or people in the Denver area seeking advanced treatment methods for pain), then it’s better to remain relevant and use a phrase with low monthly search volume, since it will attract the exact audience you’re looking for. So when choosing keywords for content development and optimization, consider first the needs and goals of your customers — even if it means using long-tail phrases that don’t pull as much search volume as general phrases. But if you’re struggling to adorn your title, why not take a quick peek at how others are using the keyword and get some clues from them? The idea is not to copy someone else, but rather to jump-start your imagination by seeing what others are doing. Let’s say I want to write an article about health care writers, but I’m not sure how to create a compelling title using this phrase. Using Google’s Keyword Ideas, I can see how other authors have previously used it in a headline. First click on the blue drop-down arrow beside your targeted keyword (see arrow below). This strategy is especially helpful if you’re the lone content marketer for your company and do not have someone to bounce ideas around with. The only words of caution here are to use short, concise, and descriptive titles (about 60 characters long) and to avoid stuffing multiple keywords into one title. You and I both know how frustrating it can be to find relevant information online. If it feels like trying to find a needle in a haystack, readers will give up quickly. It all boils down to putting yourself in your customer’s shoes and simply asking yourself, “How would someone find this topic online? What words would they enter in Google search?” Then, use that word or phrase in your title and in the copy of your content. With Google Keyword tool, this exercise is much easier and likely to produce better results. Your turn: What other tips can you share about using the Google Keyword Tool? *Editor’s note: The “competition” column depicted in Figures 1 & 2 describes PPC competition, not SEO competition. SEO and PPC are different but complementary strategies. Companies get many benefits when both are used simultaneously. PPC provides a quick boost to traffic — if you’re willing to pay the price for clicks. SEO clicks are free but take longer to achieve desired results. 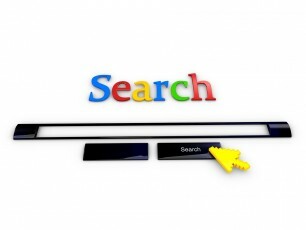 With PPC, your goal is to find relevant keywords that you can bid on. For example, you may want to focus on keywords that represent a new product or a profitable category for your business. You will use these words in ads, campaigns, and landing pages. With SEO, your goal is to understand keywords that people would use to find your content. You will use those words in your content, page titles, meta-tags and link building efforts. Since you don’t need to buy SEO keywords, it doesn’t hurt to make a note of high-competition data and test out words (ranking factors include web site content and inbound links). You will also want to consider different long-tail keywords for SEO. CMI thanks reader Chris Makara and contributor Mike Murray for these clarifications. For more ideas on optimizing the shareability of your content, read CMI’s Content Marketing Playbook. Patricia Redsicker is a content marketing expert from Baltimore MD. As owner and senior marketing writer at WordView Editing Patricia works with healthcare organizations to develop content strategies that attract and retain customers. Her blog provides content marketing insights to aspiring bloggers and healthcare marketers. You may follow her on Twitter at @predsicker.